By Josh Groban. Arranged by MJ Summer at enjoypianomusic.com. Contemporary Christian, Praise & Worship, Repertoire, Pop, Wedding. Sheet Music Single. 9 pages. 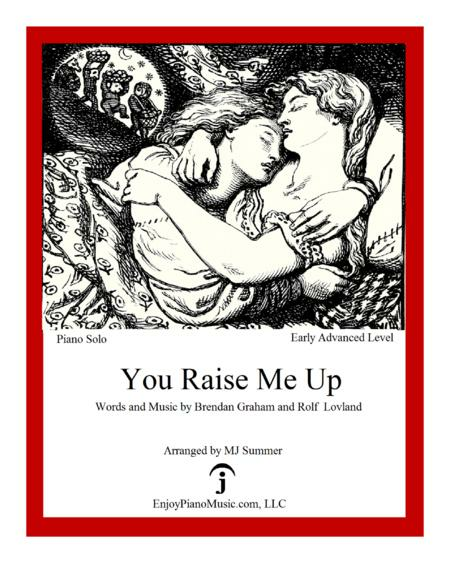 Published by EnjoyPianoMusic.com, LLC (H0.82757-53487). Arranged in the original key of E-flat, F, and G-flat majors sung by Josh Groban, this piano arrangement will raise up your soul and lift up your spirit. Accessible to many amateur pianists.